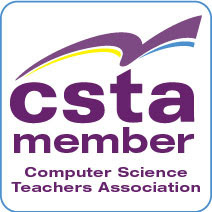 In case you missed the announcement last week the CSTA Election results are announced. Thank you very much to those of you who voted for me. I’ve really looking forward to helping out on this board. The school year is nearing an end. The school I teach at had their senior prom over the weekend. I hope to see pictures today. I’m also starting to think about how I am teaching next year. We’re creating two new courses to replace some existing but dated courses. Some of the links below will play into my thinking. I’ve been working a lot more with TouchDevelop lately. I really want to use it with students. I’ve posted one of the bits of code I’m playing with as a web app at https://www.touchdevelop.com/users/AlfredTwo/spinWP/ I’ve also been experimenting with TouchDevelop Presenter. Presenter lets me display want I do on my phone on a wi-fi connected computer. I understand it currently only works with the Windows Phone 7 app. It was developed before the web based version of TouchDevelop was created. I’m hoping to upgrade to a Windows Phone 8 soon so I will probably use the web version for demos with students. Microsoft Touch Develop is looking for adventurous Windows Phone 8 mobile app creators for a beta of the WP 8 app of TouchDevelop. Yep, this is one more reason I want to upgrade my phone. Ray Chambers in the UK has developed a Touch Develop - Scheme Of Work for teaching. I’m taking a good look at it for my own use. 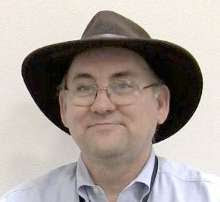 Doug Peterson wrote a very thoughtful response to one of my posts at Life in a Browser. It was in response to my little rant Why Web Apps? Washington State passed a bill that gives students graduation credit for AP Computer Science. This is a great thing and now 10 states allow this sort of credit. Still a long way to go though. But there continues to be discussion of this sort of thing in the media. Do you remember the Incredible Machine? It was a great game all about problem solving/ Well it looks like The Incredible Machine Is Back, Spiritually at least. Read about it in Wired. Why teachers do what we do is a recent post by Doug Berman @dougbergmanUSA that you should read.